Tokyo Mirage Sessions #FE Review | Nerd Much? A few years back, when the possibility of a Shin Megami Tensei x Fire Emblem crossover was announced, fans were absolutely excited. Many were worried that it would be cancelled, since a while had passed without any information about the game surfacing. However, during a Nintendo live stream last year, we saw a trailer that changed everything, especially our expectations about the crossover. We were shown bright images, anime-inspired visuals, and an undeniably catchy idol song playing in the background. This was the beginning of Tokyo Mirage Sessions #FE. But, when the two JRPG giants come together, what is the result? A modern day experience that accurately merges the two series together in a beautiful way that exceeds the high expectations. 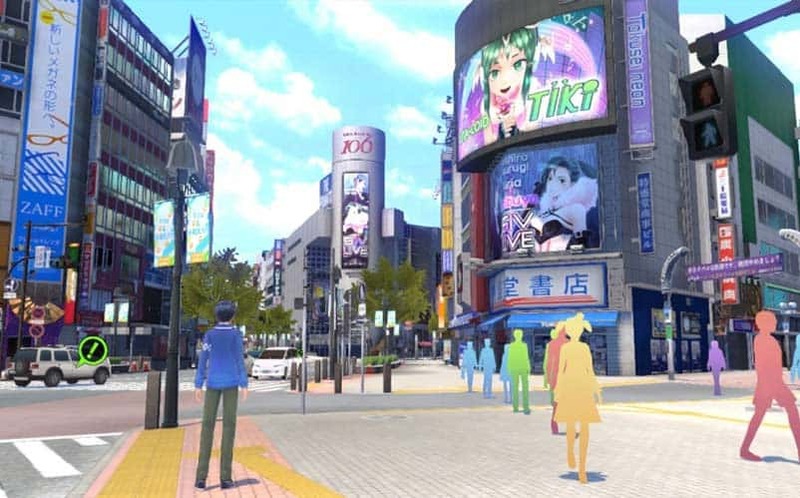 Set in modern day Tokyo in the Shibuya district, Tokyo Mirage Sessions #FE taps into the lives of those in the entertainment industry in a unique way. Itsuki Aoi, the main character, finds himself at an idol contest one day, and sees several people vanish before his eyes into a mysterious world. His childhood friend, Tsubasa, a participant in the contest, is also dragged in, so he jumps in to her rescue, only to find out that both of them will awaken new powers. Humans all have something called Performa, which is the creative energy manifested inside of us all. Supernatural entities, called Mirages, are seeking out Performa to steal and possess humans, draining them of all their energy and taking over their bodies, trapping them in the Idolasphere. It is a mystery why Mirages are attacking for Performa at first, but it makes for an interesting story that ties the idol/entertainment industry aspect of the game in very well. 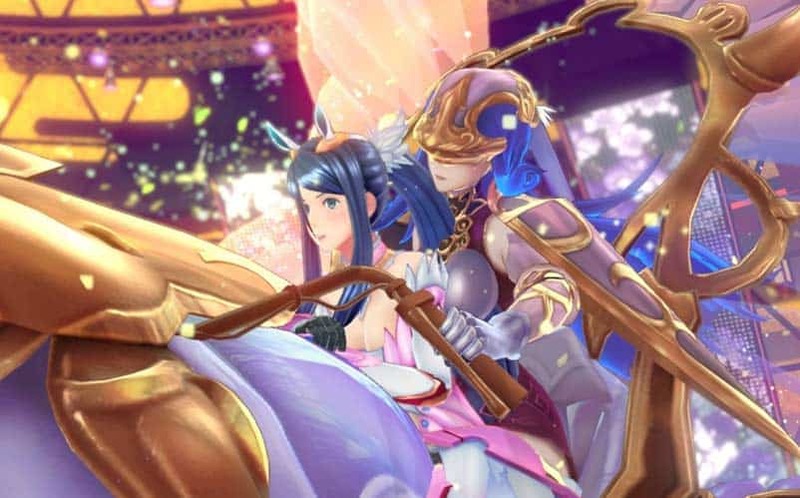 Itsuki and Tsubasa come in contact with two Mirages who wish to aid them against the Mirages stealing Performa, Fire Emblem heroes from the past, Chrom and Caeda. Although they do not remember their pasts, their heroism and personalities have translated to the modern world and are accurate to their Fire Emblem characters. They cannot be seen by ordinary humans, which is an interesting twist. Each chapter involves rescuing someone from a Mirage attack and entering to the Idolasphere to return the creative energy back to the surrounding people. Dungeons have many themes that relate to the person possessed by the Mirage. In many ways its reminiscent of Persona 4, with the themed dungeons and saving those who were captured and are in danger. In fact, this game is definitely more like a Persona game than the mainline Shin Megami Tensei games. Although both series offer great experiences in their own right, it’s certainly exciting to have another Persona-like game (we’ll go into that more in the gameplay section of this Tokyo Mirage Sessions #FE review). The main premise of the story is that Fortuna Entertainment, a talent agency run by former model Maiko, secretly houses entertainers who have the ability to summon Mirage partners, go into the Idolasphere, and return the creative power back to the people. Here, they live a double life, getting gigs and saving lives behind the scenes. This entire idea is very well-executed and definitely sets it apart from many JRPG plots. It makes sense why idols, performers, and rising actors are the focus of the story — they are the ones who inspire others. Even comparing American and Japanese cultures, much of the news focuses on celebrities; they are the influencers that inspire us with their works. There’s no better way to restore creative energy than through the arts, which is what the game depicts really well. The Mirages from another time also fit into the modern day setting perfectly. Fire Emblem has never been set in modern times. However, they are heroes from the past reincarnated to protect the modern world, which explains their existence and presence in the story. There are six chapters in total in the game, and your choice of party members grows with each dungeon completed. One amazing thing that both Fire Emblem and Shin Megami Tensei/Persona games feature is the development of characters through social elements. Many of the newer Fire Emblem titles have a support system, which unlocks ranks C-S by using two characters in battle. Persona is known for the involved social link system which gives players a break from the combat. The side story aspect of this game is nothing short of fantastic. Although the system is not as detailed as either game’s relationship gameplay, it meshes the two series in TMS #FE into side quests. In order to activate side quests, players must advance in the main story and use a particular character in battle for a certain amount of time, which is similar to the support system in Fire Emblem. Each character has three side quests available. Some requests require you to find things or fight various bosses. Throughout the quests, you will find out more about that person, as well as watch them gain popularity in the entertainment world. This brings us to the individual characters, who we will analyze one by one. Itsuki: Although SMT games are known for having the silent protagonist, Itsuki is fully voiced and has his own personality. Honestly, for a main character, Itsuki is great. He has funny main dialogue options and reminds me a lot of a modern day “Marth”. He isn’t afraid to back down and is not the generic/typical protagonist. Tsubasa: At first, Tsubasa may appear as the typical childhood friend, but she breaks so many barriers and ends up being a fantastic character. Instead of waiting for someone to protect her, she’s ready to face her problems head on. She is trying to find her sister who went missing years ago, and tries to become an idol because of it. However, Tsubasa deals with social anxiety that comes with idol life, and she tries her best to overcome it. She’s very cute and her relationship with Itsuki is even more adorable. She is a very useful support character in battle as well. Touma: There’s no way anyone can hate Touma. Trying to break into acting, Touma longs to be the “hero” he dreams of. His dialogue and interactions are priceless, especially with how cool he thinks he is. He’s also a friend of Itsuki and Tsubasa, making their relationship dynamics/confrontations even better. His side quest storylines are absolutely amazing, and he doesn’t get discouraged. In many ways he can be considered a comic relief character, but he’s much more than that. Touma is also a great physical character in battle. Kiria: You get the famous singer after the first dungeon, and she is amazing. Acting cool and mature, Kiria is the idol everyone looks up to. However, she has an affinity to cute things, which is what her questline is about. She’s a very cool character who you will grow to love with every chapter. She is primarily a magic user. Eleonora: Elly is simply the best. Half Scandinavian, Eleonora longs to use her looks to become a Hollywood actress. Although she’s somewhat cocky in and out of battle, you can’t help but love and admire her. She was a Mirage Master before Itsuki and Tsubasa. Her side stories are absolutely adorable, as she tries her best to hone her acting skills while being completely clueless about dating. She is a bow user in combat. Mamori: A children cooking show’s up and coming star, Mamori joins the party about midway through the game. At first, Mamori may seem like the typical child character, but again, she breaks the boundaries of the character stereotype. She takes on the role of a Mirage Master after one particular boss battle, and isn’t afraid to fight. Despite her appearance, Mamori is one of the strongest characters to use in the game. Yashiro: One of my personal favorites, Yashiro is an interesting character who joins you near the end of the game. He is a male idol/superstar, and initially is cold, seems like a jerk, and shows little to no emotions. However, after he joins, his story is very interesting and his character development is fantastic. He’s also a stronger party member. Maiko: The often drunk, yet lovable leader of Fortuna Entertainment is an awesome character who helps cover up the Mirage instances behind the scenes. She’s very lovable and confident, and is always finding gigs and missions for the Mirage masters to participate in. Barry: Barry Goodman is the fallen rock star/ otaku who hilariously acts out the stereotype he portrays. His love for the magical girl anime in the game will make any player laugh and cringe at his dialogue. He also is the training coach for the stars, and everything that comes out of his mouth is comedic gold. The Mirages: Chrom, Tharja, and all of the other Mirages are accurately portrayed like their Fire Emblem counterparts. Although they have lost their memories, their personalities have stayed in tact, and they will stop at nothing to live a heroic life. I particularly was happy to see some of the Awakening cast as well as the Shadow Dragon cast as Mirage Partners. Just seeing my favorite characters was enough to put a smile on my face, especially the Awakening crew I spent hours with. Tiki, at first, had me questioning her character, but I grew to love her younger, Vocaloid like self in this game. Although this game is arguably more Persona than Fire Emblem, having the characters in there balances it out. It’s also worth noting that the characters will send you text messages quite frequently, which gives the player even more insight into the characterization. The “Topic” messages are an absolute joy to read, and usually pertain to the side story or main story. However, like texting in real life, they can be random, which makes this game have another sense of realism and connection to the characters and cast. Side quests and interacting with characters are a big part of TMS. The core gameplay is divided by the main story and intermission segments, as well as chapters that reveal new areas and dungeons. At any time, the player character can walk around town, accessing the many stores, side quests, or Idolaspheres available in the game. Even during a main dungeon, you can exit and cruise around Shibuya, Harajuku, and more. The city/environment interactions are not as in depth as Persona. But, you’re able to heal, go to restaurants, and buy equipment, as well as interact with some NPCs. In the Fortuna Entertainment building, you are able to go to the Bloom Palace, where your Mirages reside. Here, you can talk with Tiki to use Performa to fuse new abilities for yourself and your Mirage Master. There are a few types. First, you can fuse new weapons based on Performa and prestige gained from combat. These will allow for new weapons that offer higher attack ratings, as well as resistances to certain physical/magical elements in combat. You can also fuse Performa to give your characters Radiant skills such as HP Fitness (increases HP by 10%) or Endless Song (allows you to endure one fatal blow with 1 HP left after attack). You can also change classes which increase stats and allow access for more abilities. It’s really important to fuse often, because weapons get outdated fast in this game. Once you are all set, you are ready to battle, which is where Tokyo Mirage Sessions shines the most. Combat is not quite SMT, and not quite Fire Emblem, but Persona-like turn based combat where the goal is to exploit the weaknesses and go for Session abilities. This is one of the best and most enjoyable combat systems in any JRPG to date. The goal, like every SMT (and Fire Emblem ) game, is to exploit the weakness of the enemy. Combat involves the weapon triangle of Fire Emblem games, with the magical elements of the SMT series (Zio, Bufu, Agi). Once you exploit a weakness, a teammate can follow up with a “Session Attack” which is an attack linked to whatever element or physical attack your character engaged in. The goal is to get your two other teammates to attack. In the battle menu, there are attacks, skills, change member, items, guard, and escape options. Skills consume EP, but are the key to starting Sessions, as regular attacks won’t activate them. Items are also very useful, especially if you do not have an active healer in your party. I really like how you change any party member at any time, which is something more JRPGs should embrace. All of the characters are worth a spot in your party, with their various abilities and variation of attacks. Finding elemental weaknesses is super fun. It’s also important to mix up support skills with buffs/debuffs and status ailments to use along side of pure attacks. Attacking will also fill up a meter which allows for special attacks which will consume a bar or bars of that meter. These are super useful to have, and easy to charge. There are also Co-Op attacks between two characters, as well as Ad-Lib performances. These are at random, but are amazing to get as they deal heavy damage to the enemy teams. All in all, the combat reminds me of Persona 3 and 4, but with a different twist. There are no all-out attacks or knockdowns, but a focus on taking out one enemy at a time with Session attacks. There are also the Fire Emblem elements within it, making it very unique. The difficulty in this game is a bit harder than an average JRPG, which is to be expected from two series known for their toughness. Luckily, you’re able to save anywhere in the Idolasphere or in the city. 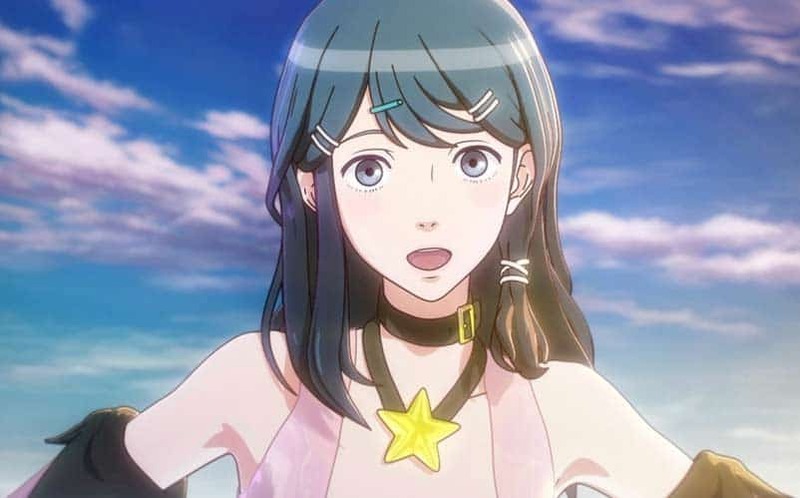 Tokyo Mirage Sessions #FE might be a crossover between two of the best JRPG series of all time, but it is a unique entry that creatively combines elements of both series to make something wholly new and amazing. Although it may not have the story or be the game that fans initially expected, it tells a modern day tale that can fit into the lore of both series. The idol theme fits perfectly into the game, showing that entertainers are needed to put the creative energy back into the hearts of people. One thing that I do wish about the game is that there would have been more Fire Emblem combat/strategy, but the fact that this was like another Persona game made me forget about that. I also would have liked an English dub, but it totally made sense to keep this game subbed, especially with the musical performances. 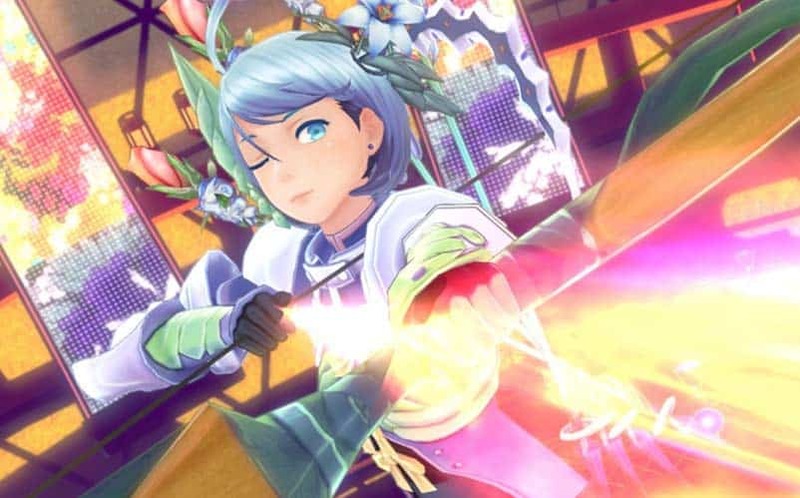 With its refined combat, fun/quirky social elements, a killer soundtrack, and a combination of what makes Fire Emblem and Shin Megami Tensei so great, the result is Tokyo Mirage Sessions #FE being a near perfect game.